Raspberry ketone, acai berry and green tea have quickly become three hot ingredients in the world of fat loss. We’ve combined them into one potent product to give you a multifaceted approach to managing your weight. Raspberry ketones can promote weight loss by making fat cells easier to break down, which helps the body to burn fat faster. This process may be enhanced even further by the inclusion of acai berry. They too have been shown to help in the breakdown of fat stores, while also improving energy levels. Green tea, and its content of catechins and EGCG, has a long track record of reducing cravings and giving a natural lift to the body’s metabolic rate, meaning you can burn more calories throughout the day. Body Perfect® Raspberry Ketone, Acai & Green Tea is an advanced, 100% safe and natural weight loss supplement for men and women who want help with managing their weight. Body Perfect® Raspberry Ketone, Acai & Green Tea combines three of nature’s best slimming supplements into one, highly effective capsule. Raspberry ketone has become well known for its fat burning properties. The natural compound gained widespread attention when a group of Japanese scientists reported their results in 2005. 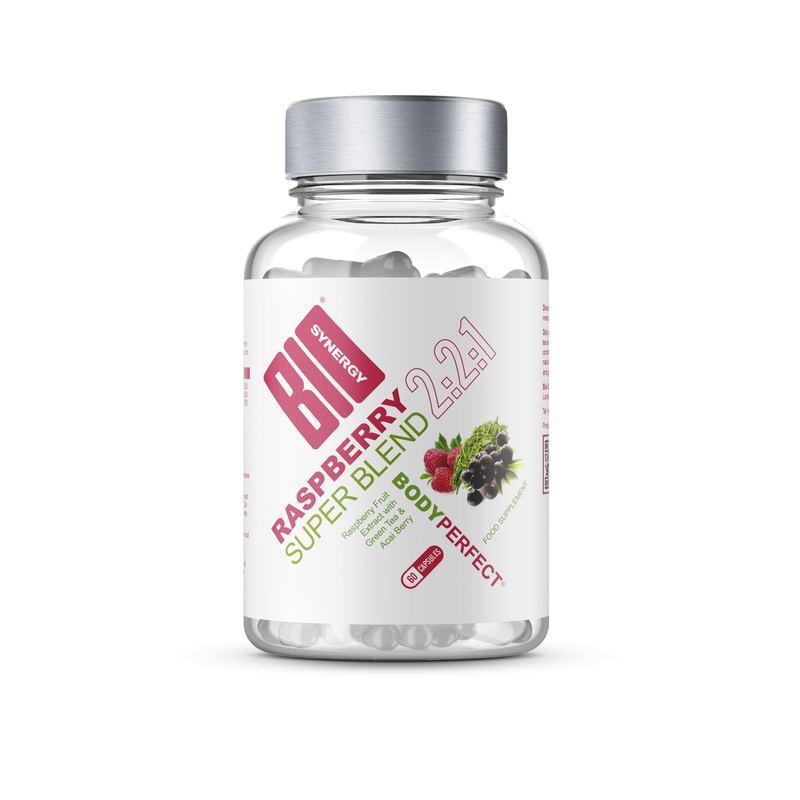 After analysing the overall working procedure of the supplement, the scientists concluded that raspberry ketone stimulates the cells to burn more stored fat. The other ingredient in our formula is acai berry. On top of being a rich source of antioxidants, acai berries are also believed to help control appetite hormones, increase energy, prevent heart disease and enhance many metabolic functions. Green Tea Extract is added for its fat burning potential. Catechins in green tea leaves have a thermogenic (fat burning) effect on the body. Also, tea contains caffeine, which is well known to boost energy levels and increase metabolism. Made in the UK from high quality natural ingredients, Body Perfect Raspberry Ketone, Acai & Green Tea is a triple action formulation that helps you reach your slimming goals. Raspberry ketones are an advanced natural phenolic compound that gives red raspberries their delicious aroma. IS BODY PERFECT® RASPBERRY KENTONE, ACAI & GREEN TEA RIGHT FOR YOU? If you’re looking to slim down and curb food cravings, then yes, Body Perfect Raspberry Ketone, Acai & Green Tea is an excellent choice. As with all our products, Body Perfect Raspberry Ketone, Acai & Green Tea capsules are made from only the highest quality, responsibly sourced ingredients. Raspberry Fruit Extract, Green Tea Standardised Extract, Acai Berry Extract, Gelatin (Capsule Shell), Magnesium Stearate, Silicon Dioxide. Take 1-2 capsules per day with water. Most customers report noticing results within one month. Do not exceed the stated recommended daily dose.